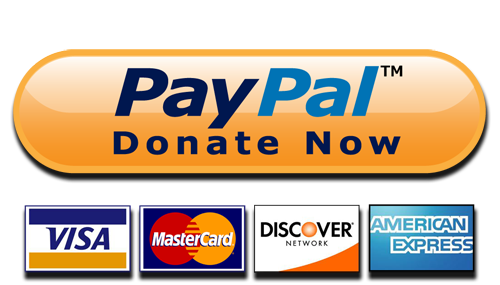 The “Ask Frank Anything” segment – What is the scariest or strangest thing that has ever happened to you? Frank, JJ, and Shtey share their experiences. 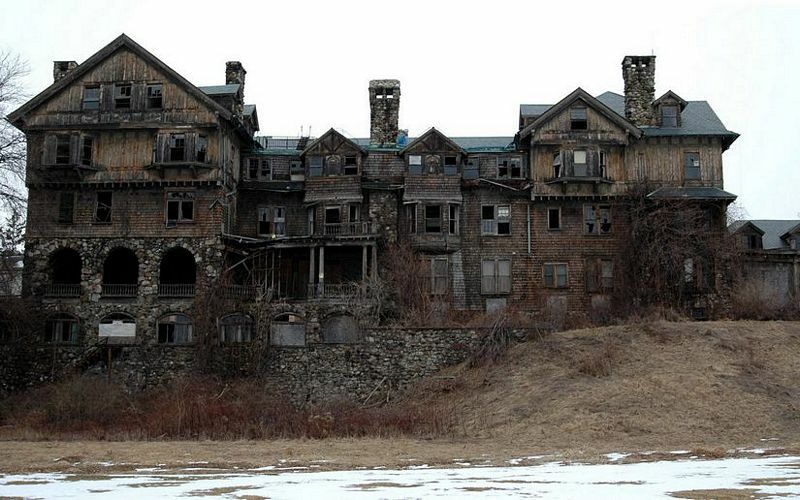 Frank and JJ invite good friend Steve Short (aka “Shtey”) @shteyradio to discuss Halloween and all things creepy and paranormal. The gang discusses Halloween with young children and the downfall of trick or treating, child night terrors, and creepy things that have happened with our kids. You can follow Duck Duck Gray Duck here on Twitter too. Wrinkles the Clown has been tormenting the Orlando/Naples area of FL for years now. Sightings continue to be reported and photos continue to surface. In 2013, it was captured on film hiding under a child’s trundle bed. After he makes his reveal, it places what looks like a small doll near the child before leaving. This footage was captured on a security camera by a family living in Sarasota, FL. According to the homeowner, the little girl was not harmed but the camera was broken. They have no idea how he got in or out of the house without setting off the security alarm and there was no sign of forced entry. Since the break-in, the family has moved out of state and asks to remain anonymous. There’s a good chance that the video — if not the entire existence of Wrinkles — is fake, but giant clowns continue to be creepy and the sightings continue. Caught on camera outside a bedroom window in Naples. Caught breaking into someone’s shed in FL. Death Valley, located in Eastern California, USA, hosts one of the most enigmatic geological phenomenon that has puzzled scientists for decades. 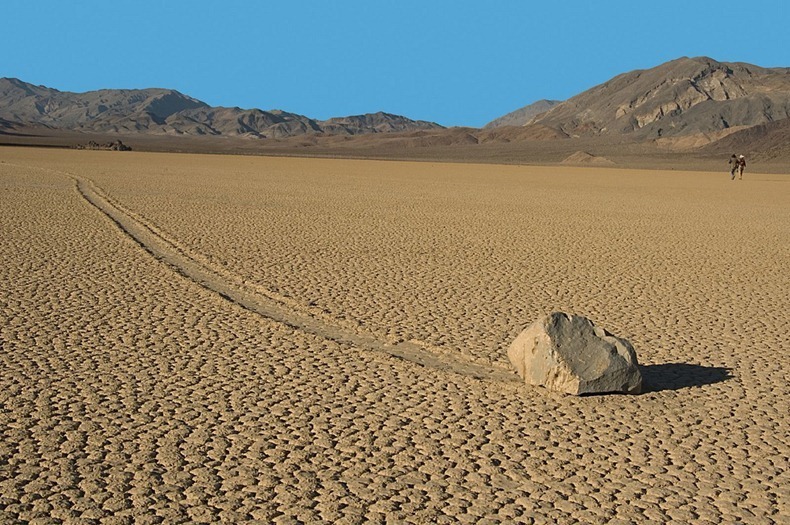 In Racetrack Playa are the ‘sailing stones,’ which seem to glide across the flat dry desert on their own, without human or animal intervention. Although no one has actually seen the stones in action, their movement is evident in the long tracks on the ground they left through the years. Spy drone at Vikings football game? Is this the ghost of Lee Harvey Oswald? Creepy stuff. Buy the book here and listen to his interview here. A ghost in a supermarket? Posted on March 22, 2012 | Comments Off on A ghost in a supermarket? CCTV footage from a supermarket in Brompton, South Australia, shows a box of Fruit Roll-Ups being flung several meters by an invisible force. They’re blaming it on man who was gunned down outside the store 14 years ago. Real or fake? Comments Off on A ghost in a supermarket? The city of Clintonville, WI has experienced unexplained booming and rattling noises the last two nights. Crews have checked for possible gas or water leaks and found nothing. The sounds — variously described as rattling pipes, clanging metal, thunder or firecrackers — have continued on and off since early Sunday night in just one part of the small town of 4,600, located about 180 miles northeast of Madison. The sounds were loud enough Monday morning that a CNN journalist could hear them during a cell phone interview with city officials. Watch the news story here. 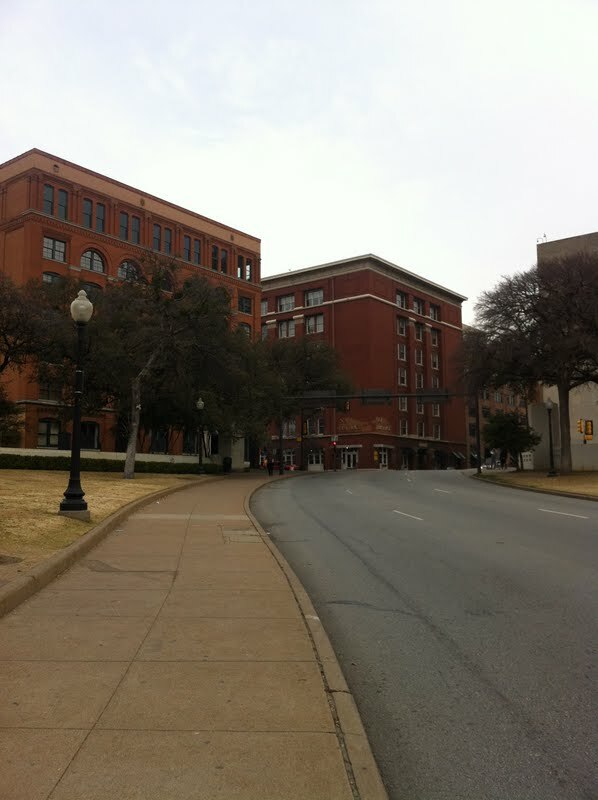 My friend was recently in Dallas and went to The Sixth Floor Museum at Dealey Plaza. 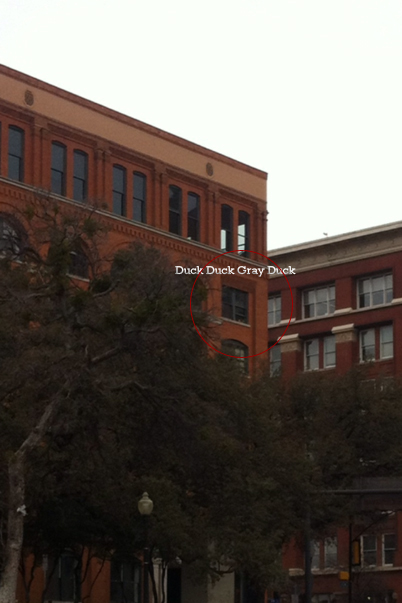 While outside, he snapped some photos of the Texas School Book Depository from the street. 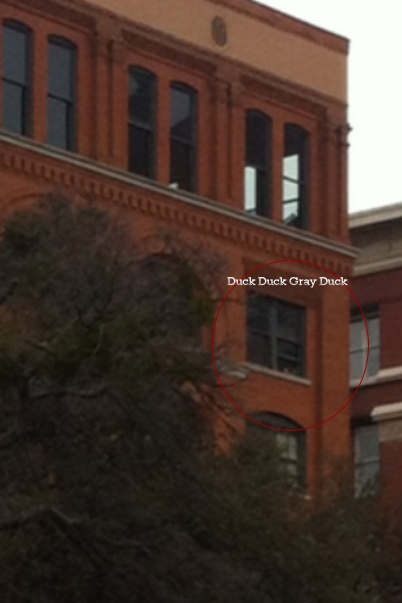 If you look closely at the window where Lee Harvey Oswald allegedly assassinated President Kennedy from, there looks to be a person in the window. 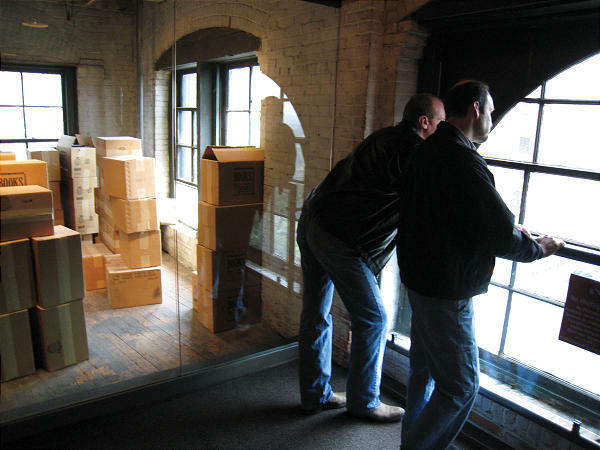 If you have been on this tour, you know that this corner is sealed off by glass from the public and nothing has been set in front of the window by museum staff. Notice the figure in the window appears to be wearing a white t-shirt and is crouching while looking out. Could this be the ghost of Lee Harvey Oswald? Note: Photos were taken on an iPhone from the North side of Elm Street and the South side of Elm Street. This is close to where Kennedy was hit with the fatal shot(s) to the head. Thanks for sharing Corey S.
If you repost these pictures, please source Duck Duck Gray Duck. Thank you. Look closely. Does this look like a person in the window? 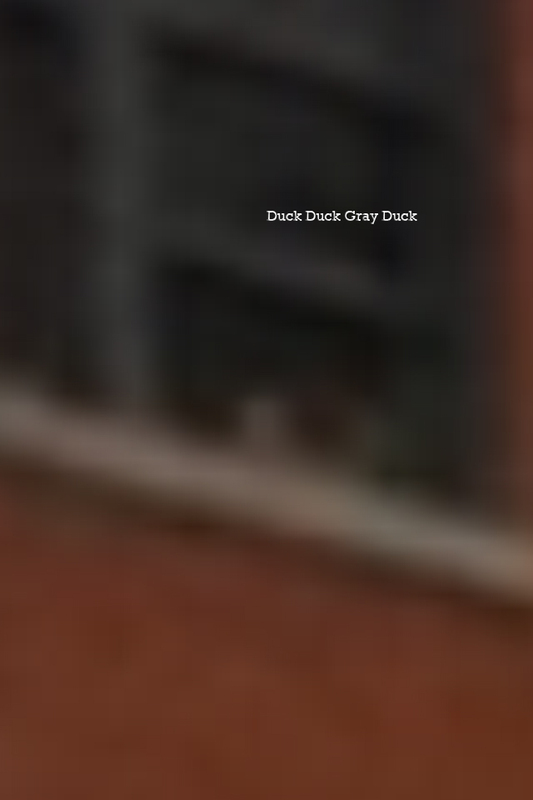 Photo shows what appears to be a man crouching in the window wearing a white t-shirt. Zoomed in. Is this the ghost of Lee Harvey Oswald? Books about the JFK assassination here. 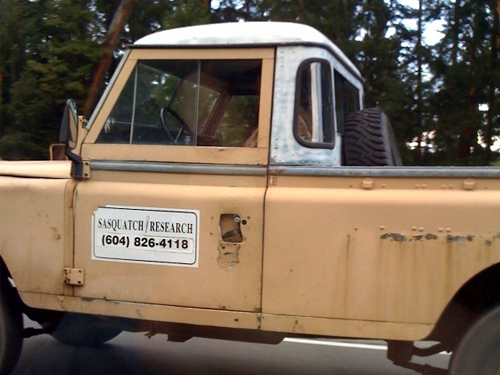 Apparently the Sasquatch Research market has been cornered.